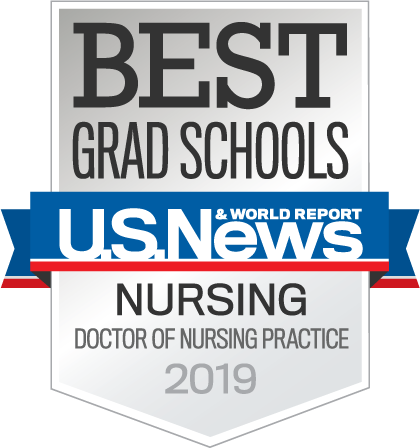 A Doctor of Nursing Practice (DNP online) is the optimal pathway for registered nurses with a BSN or MSN who are seeking preparation at the highest level of nursing practice. Graduates of the online DNP program are prepared as exemplary nursing leaders and visionary nurses who can actively shape and improve patient outcomes, policy, process and the future of nursing. Shape the future of nursing as a DNP. Learn more by downloading our program guide or learn more by exploring the specific online DNP program tracks below. Stand out at your organization as a proven nurse leader and scholar. Gain advanced knowledge while connecting with mentors. Develop as a holistic primary care provider who can positively impact outcomes for patients across the lifespan. Demonstrate advanced leadership and clinical skills as you learn to innovate and grow a thriving practice as a DNP FNP. Take a lead role in nursing care for infants through the first two years of life. Focus on high-risk neonates and their families as you define your practice as a neonatal DNP. Become a nursing leader who can provide holistic patient-centered care for women. Develop advanced competence as you learn to practice in clinical settings as a nurse-midwife. View all online DNP program outcomes here.